Essentially it is how it sounds, however there is more to it than meets the eye. It’s about challenging your capabilities, learning how to twist and move your body in order to scale a rock face and also enjoying some beautiful scenery. 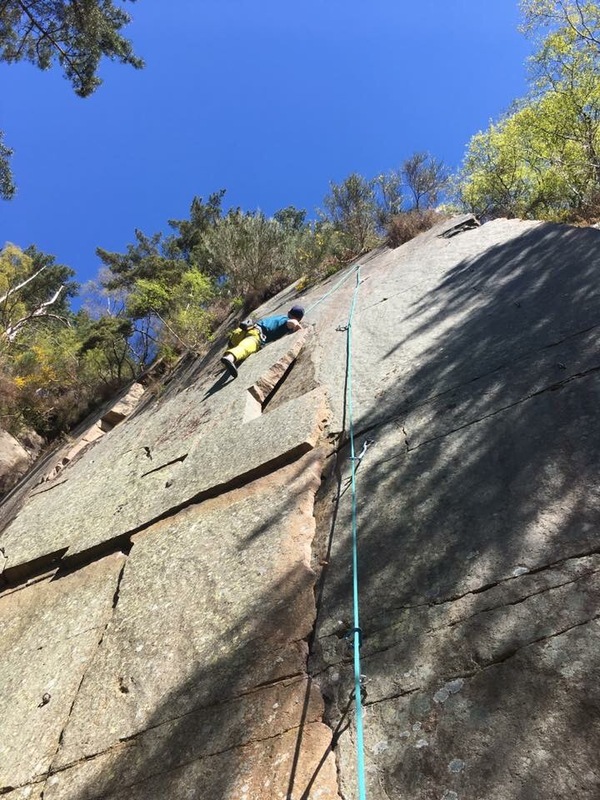 The stunning Pass of Ballater in Royal Deeside, is our flagship rock climbing experience. A true alpine experience, learn the basics of climbing while immersed in the granite and pine trees of the Pass. This experience finishes with an epic Abseil overlooking the Pass 200 metres below. Warning not for the faint hearted. The beautiful and friendly sandstone quarry at Kirriemuir is a great location for the nervous or new climber. The sheltered quarry is a friendly environment with beautiful climbing up to around 12 metres. A perfect introduction into the vertical world. Off peak – Monday to Friday outside of School Holidays. Peak – Weekends, Public Holidays and School holidays. • All participants must be 8 years or older. • All under 18’s must be accompanied by an adult. Check out ‘Our Get Involved’ area on our website, or follow us on Face Book, Twitter or Instagram for all our latest time table updates. Here you will find our availability, locations and prices. Time tables are updated weekly allowing us to plan for tide times and weather updates. To make a booking, or to find out more about birthday parties, stag/hen doo’s, team building and corporate days, drop us an email or contact us through our social media pages with your requirements. Our promise to our customers is to provide highly enjoyable outdoor experience, which are excellent value for money, in the North East of Scotland.